The 25th edition of Automechanika Frankfurt brought together the megatrends of the automotive aftermarket and directed the spotlight on technological progress, knowledge transfer and new alliances. What was supposed to be a hurried substitute for International Motor Show (IAA) in 1971, Messe Frankfurt’s Automechanika, has turned out to be the leading platform of the automotive aftermarket. 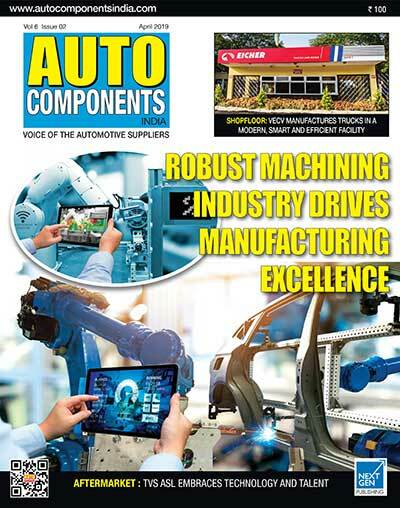 Its latest edition, which concluded on September 15, 2018, had participation by a record number of exhibitors, and 136, 000 trade visitors from 181 countries, indicating the unabated growth in the automotive aftermarket. While “It has been the best week of the year,” for Michael Söding, CEO Automotive Aftermarket at Schaeffler AG, Manfred Baden, President of the Automotive Aftermarket Division, Bosch GmbH, found the trade fair as a huge success. He said, “Automechanika continues to be the most important trade fair for the aftermarket worldwide.” With much satisfaction, Robert Heismann, Director of Aftersales Business Development, Porsche AG, said, “We were able to present our innovations in the fields of electro-mobility and digitisation to the world.” Porsche AG was exhibiting at the Automechanika for the first time. “The 25th Automechanika Frankfurt was the biggest and most international event in its history,” Detlef Braun, Member of the Executive Board of Messe Frankfurt, said. “The feedback from our customers has been unmistakable: Never before has the Automechanika Frankfurt fair been so focused on the future. All areas of the automotive aftermarket – industry, retail and workshops – have responded to megatrends that include connected cars, networked workshops and clean vehicles, offering an amazing range of innovations for the international group of professionals in attendance these past few days. In all 23 exhibition hall levels and in the outdoor exhibition area, things were really humming,” he said. In response to the huge interest in classic and collectible cars, the new Classic Cars exhibition area enjoyed an impressive debut at the trade fair. As a counterpoint to the emphasis on the digital world, the Classic Car area included parts manufacturers, paint makers, start-ups and associations. For many years, the Bosch business division Bosch Classic has also been committed to preserving historic vehicles. “At Bosch, we share the enthusiasm of classic-car fans. After all, the history of automobiles is also part of our company’s history,” Manfred Baden, president of Bosch Automotive Aftermarket, said. Facilitating one-of-its-kind experience for workshop owners and employees, Federal Association of Manufacturers and Importers of Automobile Service Equipment offered live presentations on professional tyre repairs. Bringing together tyre and automotive services can be challenging, highlighting upon the same, Olaf Mußhoff, Director of Automechanika Frankfurt, linked the synergies between workshop services and tyres. “For many workshops, bringing tyre and automotive services together in one place and dealing with the associated technical changes pose a huge challenge. That is why we will continue to invest in this area,” he said. Several world leaders of automotive aftermarket products and technologies presented their future range of innovations at Automechaanika Frankfurt 2018. ZF Aftermarket: Taking an important step towards zero-emission public transport in metropolitan areas, ZF Aftermarket and engineering company has formed a strategic partnership in order to reduce significantly greenhouse emissions in cities. It is focussing on converting buses within the public transport system from conventional to environmental-friendly electric drives. The Munich-based technology specialist has developed an innovative bridge technology called ‘e-troFit’ that enables an efficient switch from the current diesel engines to the smart and sustainable alternative. ZF Friedrichshafen AG’s Aftermarket Division also presented its fleet management tool ZF Car Connect as well as ZF Smart Service, a “digital screwdriver” for independent workshops. To address to the digital transformation in the automotive aftermarket, ZF Aftermarket has come up with a digital ecosystem that will not only allow customers to digitalize their own processes, but also to offer digital services of their own, with added value. NGK Spark Plug Europe: Ignition and sensor manufacturer, NGK Spark Plug Europe launched the aftermarket’s most extensive selection of premium engine speed and position sensors at Automechanika Frankfurt, making its NTK Vehicle Electronics brand a complete, one-stop-shop for replacement sensors. Federal-Mogul Motorparts: The steering and suspension brand from Federal-Mogul Motorparts, unveiled an updated brand identity under MOOG. A new manufacturing facility in Spain will initiate production of the brand’s main products, featuring the company’s new Hybrid Core Technology. This new innovation focuses on enhancing safety, improving durability, and offering higher quality through the use of carbon-fibre reinforcement and induction heat treatment. Continental: In order to increase engine efficiency, the technology company Continental is expanding its aftermarket product portfolio to include components for better temperature regulation in modern engines. An increase in engine efficiency can in turn reduce environmentally damaging emissions and extend the engine’s lifetime. The company is therefore releasing two new kits and adding 23 new types to its range of standalone water pumps. These are particularly intended for use in the ancillary drives of modern vehicles, in which the water pump is driven via the multi V-belt. One such innovation was launched at Automechanika this year: e-Videns, a user-friendly, comprehensive vehicle inspection tool. Nico Carucci, Regional Manager AM Sales Germany, described the benefits of the new tool: “e-Videns increases workshop ability to generate new business by scanning engine systems for error codes and performing an innovative health check, unique to DENSO, via cloud technology to identify problems and pre-empt future issues.” The tool empowers garages to offer a preventative maintenance plan for their customers and creates opportunities, and clearly reports on the vehicle inspection, providing total transparency and strengthening the client-workshop relationship. e-Videns is already available in English and Automechanika saw the launch of the Polish, German and French versions. It will be launched in another 15 languages in 2019. MANN+HUMMEL: Filtration expert MANN+HUMMEL showcased an improved and comprehensive filtration technology called FreciousPlus 2 that ensures optimal air quality inside the vehicle, as well as protection of the occupants. The MANN-FILTER FreciousPlus 2 will be available for selected passenger car applications on the independent aftermarket from early 2019. The existing range will be gradually replaced by the new generation filters. The newly developed Brake Dust Particle Filter from MANN+HUMMEL reduces the brake dust emissions of vehicles so that fewer brake dust particles escape into the environment. The filter is adaptable to the existing installation spaces around disk brakes. The Brake Dust Particle Filter can be used for any type of drive, from electric vehicles and hybrid vehicles to classical gasoline or diesel vehicles. UFI Filters: To ensure increased filtration performance and greater engine power in a reduced space, UFI Filters presented an engine air filtration technology: UFI MULTITUBE. This patented system stands out for its tubular structure, which replaces the traditional panel filter. UFI MULTITUBE introduces a cutting-edge technology into the original equipment market, firstly for Porsche GT2RS and soon for other high-volume applications, both Italian and international. The technology is set to spread rapidly throughout the OEM market, followed by the aftermarket. JXTG Nippon Oil & Energy: JXTG Nippon Oil & Energy, a global oil and energy company, announced plans to expand the European distributor-network of its ENEOS branded Automotive lubricants. ENEOS is the product brand of the Japanese Giant. Highly popular among car dealerships, mechanics, garages and fleet-owners, ENEOS is present in more than 20 European countries. LUMILEDS has developed NARVA Range Power LED bulbs with crisp, white light and vibrant colours to transform cars from standard to stylish. The brighter lights will enhance both the vision and safety quotients. In the car purifier segment, Lumileds has developed Philips GoPure 7101 with powerful and fast-acting air filtration technology, this device removes harmful particles, toxic gaseous chemicals and allergens in just a few minutes. With smart features, such as automatically speeding up filtration if pollution levels rise, the GoPure 7101 ensures car travel with only clean and healthy air. This device automatically purifies the air inside vehicles from up to 125 different pollutants and allergens. Instead of relying on conflicting opinions, drivers can record their journey and collect objective evidence with the Philips GoSure ADR820, developed by Lumileds. It is a premium modular dash cam that lets users easily add GPS and Full HD rear camera functions. Now drivers can capture their journey in sharp and vivid detail. Connected via Wi-Fi, this dash cam can be fully controlled from a smartphone. An Advanced Driver Assistance System (ADAS) adds safety features. With an accuracy of 0.1 bar, drivers can see the precise pressure of all four car tyres on the new Philips GoSure TS60i tyre pressure monitoring system. Accurate measurements ensure optimal wheel alignment to enjoy a smooth drive, improved car control, and increased fuel efficiency and tire lifetime. The 3 new Philips professional LED workshop lamps (the Philips RCH5S, RCH25 and PJH10), developed by Lumileds, featured a unique dimming function for enhanced comfort while working. With improved impact and water resistance, these powerful lights are ready for the most demanding automotive workshop conditions. The new Philips WhiteVision ultra halogen car headlights presented the latest coating formula, these bulbs deliver a stunning 4 200 Kelvin. As the whitest road-legal halogen lights in the Philips automotive portfolio, they are the perfect choice for a cool, stylish upgrade. The exciting new Philips X-tremeUltinon LED gen2 range, launched by Lumileds, pushes the boundaries of light once again, performing at automotive OEM level. Equipped with exclusive Lumileds LUXEON Altilon LED chips, otherwise only available to carmakers, these lights have optimized consistency, performance up to +250% brighter and a cool white light to provide sharper visibility. Drivers can see farther, react faster and drive safer with Philips X-tremeVision G-force car bulbs. Among the brightest that the drivers can buy, they outshine most other car lamps with up to 130% more brightness. The superior beam length and up to 10 G vibration resistance help safer drive. The GKN Aftermarket organisation, supported by GKN Sinter Metals and Motorsport, presented at this year’s Automechanika in Frankfurt, the glimpses of the breadth of expertise within the GKN Group. The primary theme was the “One Brand” strategy within the international aftermarket, which now unites the established brands globally under the umbrella of GKN Driveline. “There is no better platform for OEM and aftermarket business,” Frank Hürter, Commercial Director Automotive Aftermarket, said. “Powertrain technology is changing at a rapid pace right now. And with so many innovations in its OEM business, GKN is a major contributor to that change. GKN is developing and manufacturing leading-edge technology,” he said. A Formula E-racing car was one of the highlights on the stand. GKN is working closely with Panasonic Jaguar Racing to make the I-TYPE 2 faster. Thanks to GKN’s comprehensive expertise, not just in the automotive industry but also in aviation, the driveshafts, differential, lightweight pump system and transmission have all been designed to be even more efficient. GKN Niche Customers, Motorsport and Aftermarket (NMA) has launched the new ballspline sideshaft, which pairs excellent off-road characteristics with safe handling on the road. Linearly arranged ball bearings deliver previously unattained plunge for outstanding suspension performance. 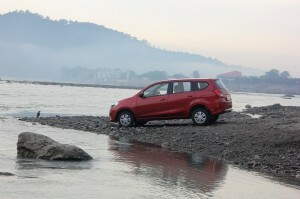 Most sport utility vehicles (SUVs) are rarely used off-road. 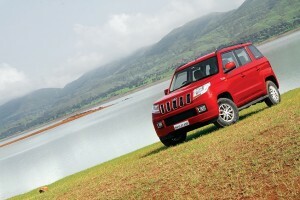 What SUV drivers expect is the same level of dynamic on-road handling and comfort as a saloon car. 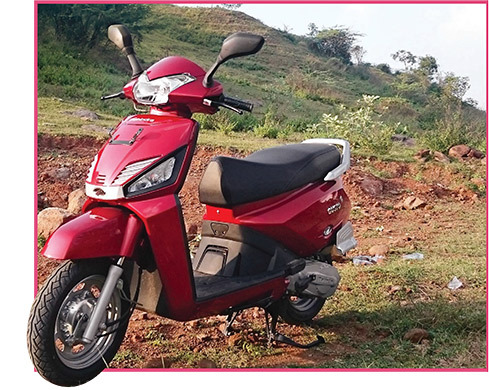 Because these weighty vehicles have an inherently large ground clearance and thus a higher centre of gravity, they present major challenges when it comes to designing their running gear and they are dependent upon long suspension travel. In order to honour the breakthrough innovations of the exhibitors, this year Messe Frankfurt publicised all 58 nominees, 36 finalists and the 10 winners at the Automechanika Innovation Awards. Moving forward with ‘digitisation’ being the highlight, the impression could be seen in everything from eCall services, remote controls, smart batteries, cloud-based expert systems, new IT systems, components and virtual reality. Particularly Proud of the Automechanika Innovation Award, Louise Eriksson, Global Head of Sales Marketing AM, OSRAM said, “As the international flagship fair for the aftermarket, Automechanika offers us the perfect platform on which to present our product highlights and innovations to a wide audience.” The company won the award for the first LED Headlight for retrofitting to the VW Golf VII. Automechanika Innovation Award in the “Repair and Maintenance” category was bagged by MEYLE for HD slot bushing kits. Bosch was honoured with the Innovation Award in the “Alternative Drive Systems & Digital Solutions” category for applying Augmented Reality technology at its service trainings. “We are very happy about this award. It encourages us to keep pushing on with the development of Augmented Reality technology for the advanced training of workshop staff and for its efficient use in everyday workshop life,” Manfred Baden, executive manager of Bosch Automotive Aftermarket, said. Automechanika which has developed into a leading platform for industry, workshops and retail takes place in 16 countries at 17 locations. According to the Institute for Research in Retailing (IFH Köln), the sectors relevant for Automechanika accounted for approx. 1.61 trillion euros in turnover in the EU 27. At the industry supply level, these include car parts, accessories and tyres, as well as various retailing and dealership businesses at the distribution level, vehicle maintenance and repairs. The 1,610.1 billion euros in turnover in 2017 correspond to an increase of 5.2% over the previous year. The sector that accounts for the largest portion of this turnover is vehicle sales at 988.3 billion euros. The next Automechanika Frankfurt is scheduled to take place from September 8 to 12, 2020. Automotive Component Manufacturers Association (ACMA), the apex body representing the Indian auto component manufacturers participated at the 25th Anniversary Year of Automechanika, Frankfurt. 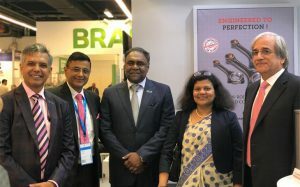 The Indian component manufacturers showcased their capabilities and explored aftermarket business opportunities and connected with global customers at world’s leading aftermarket trade fair. 52 leading ACMA members, of the over 100 participants from India, displayed their latest aftermarket products and technologies. The Indian auto component industry has posted a remarkable performance growing by 18.3% over the previous fiscal, registering a turnover of USD 51.2 billion, while exports grew by 23.9% to USD 13.5 billion.